It's that time of the year again, folks! Time to turn on the Winter Fest Lights all over Gatlinburg, have some chili, and relax by the fire. 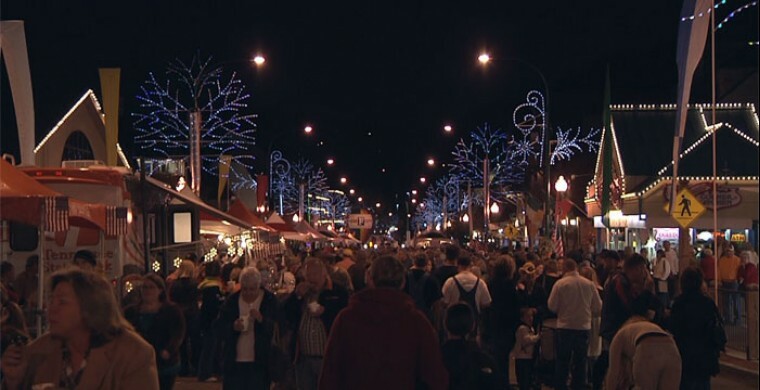 Winter Fest outshines all other Gatlinburg Tennessee attractions. Sorry, I could not resist! It's true, too. These pretty lights last from November through February. They cheer up our streets as we locals commute back home at the end of a work day, and they inspire tourists with memories of their own childhoods. These Christmas lights give you the perfect excuse to find yourself in a Gatlinburg resort. Like most people, you look for convenient Smoky Mountains hotels. Zoder's Inn and Suites is located on the main Parkway, within walking distance from Ripley's Aquarium and the rest of the strip. Our many repeat guests bring their children along to create memorable Gatlinburg vacations. And many of these guests remember coming to Zoder's Inn when they were children. Out of all the Smoky Mountain hotels, we hope you choose Zoder's Inn Gatlinburg.